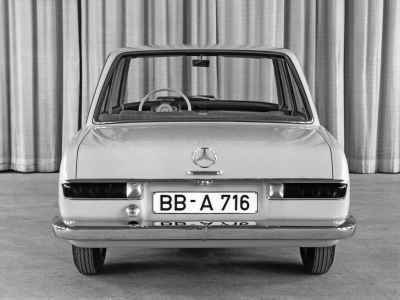 "Had the compact Mercedes-Benz debuted in 1963, its looks alone would undoubtedly have been a sales advantage in its own right." 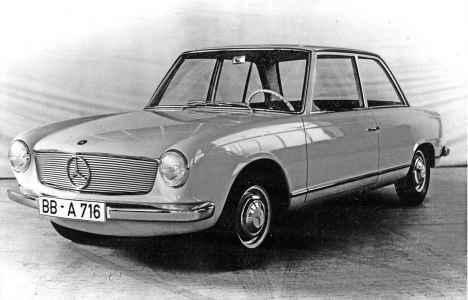 The compact Benz that never was. How Mercedes attempted to expand downwards in the late 1950s. Words: Andrew Roberts. Pics: Mercedes-Benz. It might have been’. It is often a line that is uttered when catching sight of a prototype of immense promise, and this particularly applies to the Mercedes-Benz W118/W119 project. Its origins lie in the “Wirtschaftswunder” or the post-war German Economic miracle - Between 1950 and 1959 the country's living standards virtually doubled while the GDP increased by almost 8 percent per annum. Car ownership grew by 700 % between 1945 and the mid-1960s while in 1954, the turnover of Daimler-Benz was over a billion marks each year. 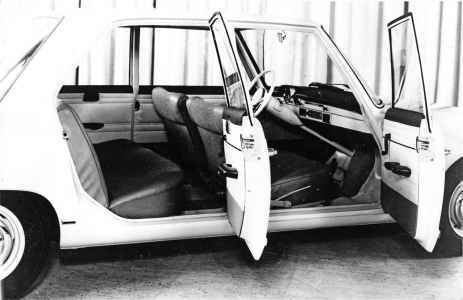 As the 1950s progressed, the company began to consider the possibility of a sized saloon that would compete in the medium-sized prestige market. Daimler- Benz embarked on Project W122 in 1953 which was based on the new 180 "Ponton" and was intended to be 15% to 20% smaller so it would appeal to owners of the W136 170 V but it was cancelled in 1956 as work had already commenced on the W120’s W111 “Fintail” successor. A further development was that Daimler- Benz had acquired a majority share in Auto Union in 1958 and took full control in 1959. By that time, Sindelfingen was fully aware that the latest DKW1000 still bore a resemblance to the 1938 F9 prototype and, for all of its undoubted strong points, now looked dated. The firm was formed in 1932 with its four-ring badge standing for the constituent marques of Audi, DKW, Horch and Wanderer and in the early 1950s, it was mainly associated with small cars sold under the DKW name. The 3-6 appealed to the motorist on a restricted budget and rally drivers alike while the sound of their three-cylinder two-stroke engine (plus the volume of blue smoke they often emitted) was ubiquitous. If you ever see a newsreel or feature film with street scenes of West Germany that were shot during that era, you cannot fail to notice the volume of the sheer volume of DKWs. But when Daimler-Benz acquired Auto Union, the popularity of such cars was already on the wane as the German Bourgeois were now looking to four-stroke power. Two-stroke engines were increasingly regarded as noisy, dated and prone to crankshaft damage in cold weather but Auto Union’s engineers remained devoted to this concept. In 1958 Daimler-Benz’s Chief Engineer Fritz Nalliger asked Ludvig Kraus of the “Construction Development” to develop an in-house mid-sized car, and the result was an extremely elegant FWD saloon in two or four-door guise. The initial idea was for it to be powered by a 1.5-litre “boxer” engine (the W118) but the prototype would eventually gain a newly developed a 1.7-litre in-line high-compression engine as the W119. When it was unveiled circa 1960, it seemed logical that it would be made by Auto Union as they had extensive experience of building small cars. However, there was also the issue of their F102, which was due to be launched in three years time. Kraus was seconded to Ingolstadt to take charge of a product modernisation project, and he was appointed Technical Director in late 1963. One of his tasks was moving the company away from its reliance on two-stroke power, the limitations of which were demonstrated by the F102. The rather svelte lines were a world removed from the quirky looks of the 3-6 range – in fact, they were faintly reminiscent of the W118/W119 – and such technological developments as the inboard front disc brakes. Under the bonnet was a 1.2-litre two-stroke unit but this was now too associated with ageing machinery built in the DDR. 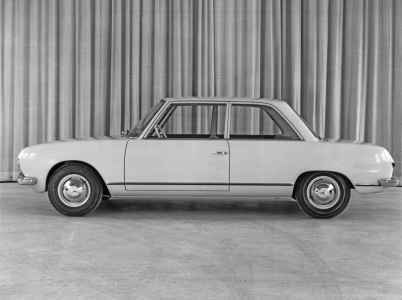 The F102, for all of its intriguing details and contemporary appearance, was unlikely to convince owners of the VW 1500 Type 3 of the joys of DKW ownership. 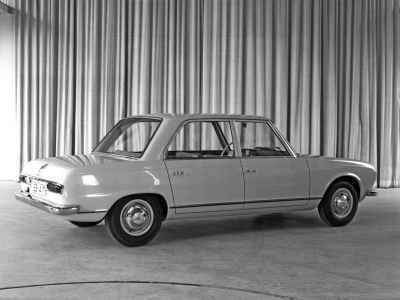 In 1964 Daimler-Benz sold its subsidiary - it wanted the funds to construct a commercial vehicle plant – to Volkswagen, and the idea of a generation of compact four-stroke cars bearing the three-pointed star seemed dormant. Kraus remained with Auto Union and to revitalise the F102; his solution was to longitudinally mount the 1.7-litre W119 plant in the bay of the DKW. Before the four-stroke F103 was launched in August 1965, VW decreed that it would not bear the familiar name and, as a decisive break with the past, the familiar DKW badge was replaced by a revival of the Audi brand which had been dormant since 1939. And although it would be beyond cliched to then write ‘and the rest was history’, that does not stop it from being true. The Audi range was enhanced by the 80 and Super 90 in 1966, which was the same year that the F102 finally ceased production. The original line-up was replaced by the B10-series 80 in July 1972 by which time a significant number of Mercedes-Benz dealers across the world were bemoaning the absence of a viable competitor. The impact of the OPEC Oil Crisis meant that it became imperative to offer a more fuel-efficient model that would also serve as a "second car". In 1976 work commenced on the W201, and when it made its bow in November 1982 as the 190 and 190E they were arguably the first compact Mercedes- Benz since the demise of the 170 V nearly three decades earlier. As for the W118/W119, it remains a prime example of how there is inevitably speculation about prototypes that never entered, especially those that looked to have as much potential. 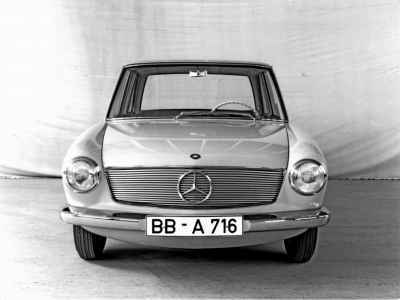 Had the compact Mercedes-Benz debuted in 1963, rather than the F102, its looks alone would have almost undoubtedly have been a sales advantage in its own right. There was none of the W111's imposing flamboyance, and instead, there was low-key coachwork with a large glass area and a notable lack of a "traditional" radiator grille – more than one observer has compared it with the W113 “Pagoda”. 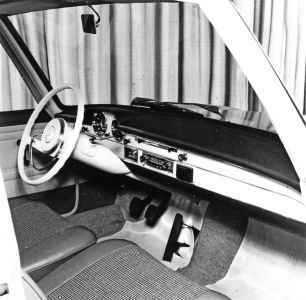 A further controversial aspect of the design was the engine layout, but 1962 Ford’s P4 Taunus had demonstrated that the average middle-class German motorist would have been ready for a medium-sized front-wheel drive saloon car. 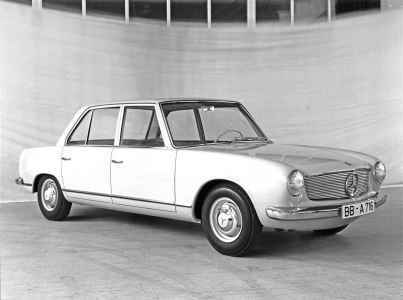 Regarding overseas rivals, one logical alternative to the Mercedes-Benz would have been the Lancia Flavia 1500 Berlina, the Fiat 1500, the Volvo Amazon, Simca 1500 and the Peugeot 404; by 1965 it would have competed with the Renault 16. The potential of the lightweight M-B in the UK would have been limited by import duties that almost certainly have raised the price far above the Rover P6 or the Triumph 2000. That said, you can practically envisage a highly polished W119 being driven by villains on The Saint or lurking in the background of various Cold War film dramas. 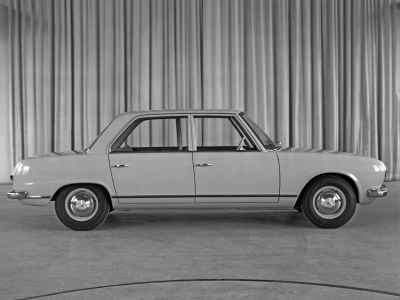 "The rather svelte lines of the DKW F102 were faintly reminiscent of the W118/W119." "In 1976 work commenced on the W201, which made its bow in November 1982 as the 190 and 190E." 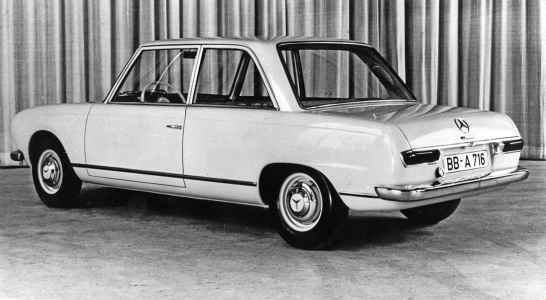 Below: DKW’s F102 used Mercedes-derived engines and similar styling to the W118/W119. Is this the project’s legacy?